This revolutionary platform will be the World’s First Decentralized Community Fund. No longer will financial matters be controlled by the super powerful few. Global consumers will all have equal access to financing via this platform. London, United Kingdom, May 9, 2018, It has always been a cumbersome task for most people around the globe to make the attempt to acquire funding from banks and existing financial sources. It has always been an upside-down financial system. Those needing the funds the most have the hardest time acquiring them and also must pay the highest rates. Rich people, who don’t need the money, can get it right away and at the lowest rates. What about the world’s unbanked? How do they have access to funding? The answer is that they don’t. Until Now! HOPEBOOK is a community of ordinary people for voluntarily mutual financial support. It is established based on Blockchain Technology and Smart Contracts. This means that it is owned by nobody and owned by everybody. Smart Contracts on the Blockchain ensure that there is not one person, or a small group of people, that can control the platform or make changes to anything on the platform. Forget about paying fees to intermediaries, there are none. This is nothing less than a new paradigm in the global banking and financial system. Anybody can purchase the platforms’ token – the DCF. Financial Community: HOPEBOOK is a community connecting model, financial – social network where people help each other. This is the first Blockchain and Smart Contract technology-based Decentralized Community Fund in the world. Transparency: Cheat Codes and individual special privileges do not exist in HOPEBOOK; every transaction within the system is clear, transparent and unchangeable by anyone, even the system creators, as the whole system is managed with technology of Blockchain and Smart Contracts. This is the most transparent financial system in the world. Fairness: HOPEBOOK is operated with an automatic algorithm which is fair to everyone, without any exceptions. Penalties, account blocks or frozen accounts cannot occur. Every member has the same rights and obligations and is bound by the Smart Contract in which they cannot cheat or shirk their responsibilities. 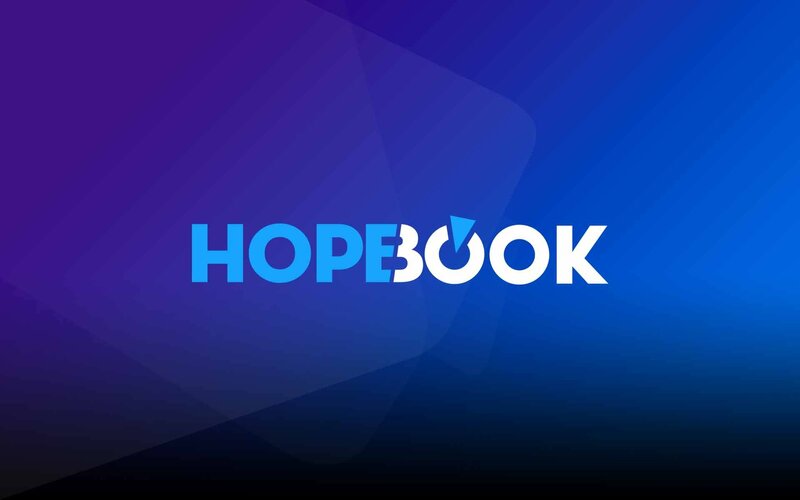 Decentralized Finance: HOPEBOOK provides a decentralized platform based on Blockchain Technology and Smart Contracts which allows millions of participants to directly Support the Community and Receive the Support from the community without any intermediaries. HOPEBOOK respects the principle of a circulated waiting period while the system plays the role of calculating and balancing. Automatic: HOPEBOOK is created with an automatic and intelligent algorithm. A user’s task is as simple as registering to be a Supporter and observing the system as it searches for the Receivers and transfers the money to help them. Then, the user will be automatically registered as the Receiver by the system before it searches for the Supporters who will transfer their money to help the user. Refundable At Any Time: At any time of funding process, every member has right to vote for a Refund. The voting right depends on member’s equity, the bigger the equity is, the stronger his vote. If 51% or more of votes choose a Refund, all funded amounts would be automatically refunded into each member’s wallet, corresponding to their equity ratio. Some parts cannot be refunded. Each account has the right to vote for a Refund only once. This is a much-anticipated product and has gathered much interest from both private and institutional investors. Early adopters stand to gain the most from great discounts on the DCF Token. A complete discussion about this platform can be viewed in their Whitepaper here.